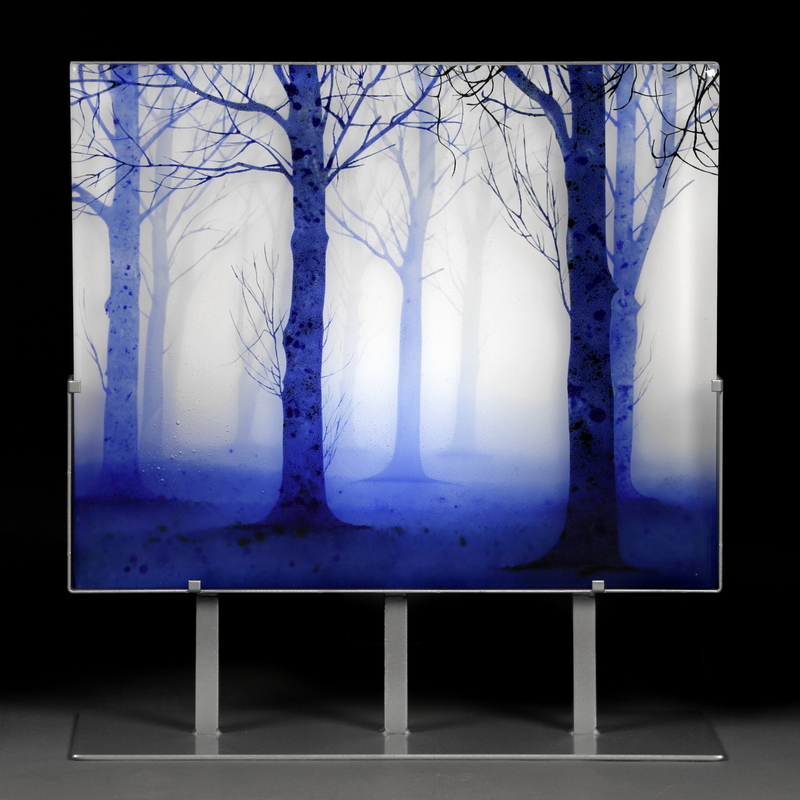 Please join the Nature Artists’ Guild on Thursday, October 2, 2014 from 7 until 9 pm at Thornhill for a unique and fascinating presentation by glass artist Paul Messink. To view Paul’s wonderfully ethereal artwork, please visit his website. www.paulmessink.com. by clicking here. In the section entitled “Foggy Trees 1”, Paul states that “Looking at nature for inspiration, I create scenes which often include bare trees. 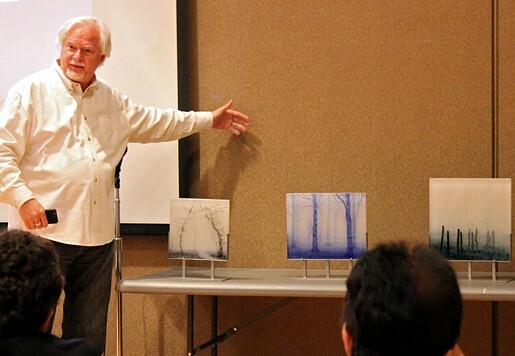 I like bare trees because of their minimalism, and because they reveal a great deal of character.” Paul’s Trees in Twilight, shown below, was recently honored with ” Best in Show” at Gallery 924 in Indianapolis, IN. As always, guests and visitors are welcome to attend the Nature Artists’ Guild’s formal meetings. There is no entrance fee or charge for parking. Visitors can just let the gate attendant at The Morton Arboretum know they are there to attend the presentation.